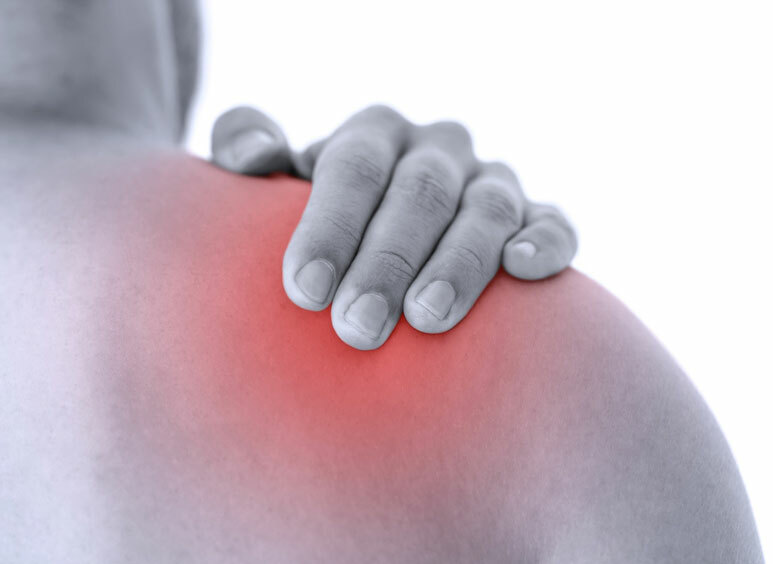 Shoulder pain is a broad term for a wide variety of injuries and ailments. The following are some of the more common shoulder conditions. Shoulder Impingement/Tendonitis/Bursitis: Shoulder impingement is one of the most common types of shoulder pain seen today. This occurs when the bones of the shoulder “impinge” or invade the bursa or tendons of the shoulder. This type of shoulder pain is most common to people who do overhead activity, especially with repeated actions. Some of these activities could be swimming, painting, and playing tennis. If left untreated, shoulder impingement may cause, in addition to inflammation, extra wear and tear on the rotavor cuff tendons (tendonitis) and bursa (bursitis). Rotator Cuff Tears: Millions of people suffer from rotator cuff tears every year. The rotator cuff is essential to the function of the shoulder because it keeps the arm in the shoulder socket and is responsible for the greatest range of motion of any of the body’s joints. Four muscles combine to create the rotator cuff that allows for lifting and rotating the arm. Rotator cuff tears can be caused by a variety of activities from normal wear and tear to poor posture, lifting, and repetitive stress.